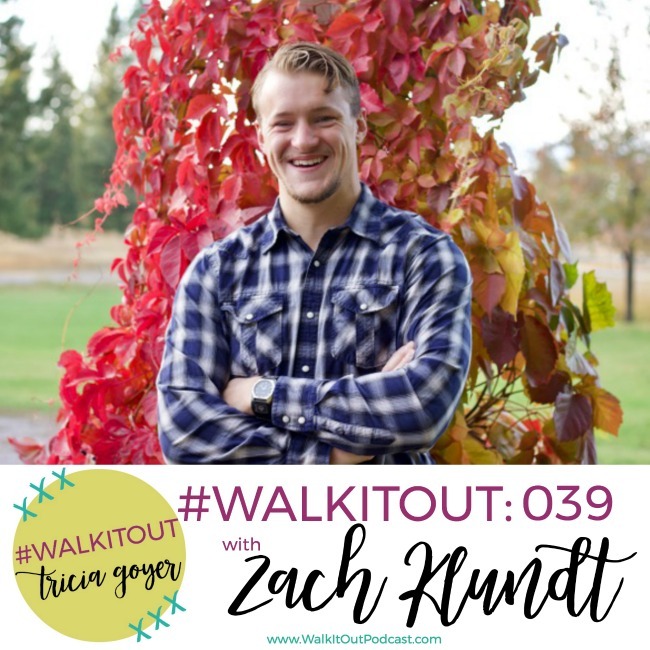 On today’s episode of #WalkItOut Podcast, we’re welcoming very special guest, Zach Klundt! In today’s episode, I’m excited to welcome Zach Klundt. There are some stories that are especially meaningful because I know the guest well — and this is one of those stories. Today I’m excited to have Zach Klundt on the podcast. In March 2014, Zach struggled with alcohol and depression and in his lowest point took part in vandalizing businesses in Kalispell, Montana. One of the places he vandalized was an abortion clinic, and because of that, it made national news. The story took on a life of its own and with that came many hardships for Zach and his family — court cases, fines, additional accusations and prison time. But today, you’re going to hear the real story behind all that. Zach is one of my son’s very best friends. Growing up he was in and out of our house all the time, but one of the things that neither we nor his family knew about was Zach’s struggle with alcoholism. In today’s episode, Zach is completely real and honest today about his struggle, about his time in prison, and how he found true freedom in Christ. To connect with Zach email hello [at] triciagoyer.com and we’ll get the message to him! I just know that you’re going to enjoy listening to Zach! You can listen above or on iTunes! I’d love it if you shared with your friends! Dear God, I thank you so much for Zach — I still remember him as a little boy and all the joy that he had. I thank you, Lord, that even though he faced such hardships and so much struggle and how he was so consumed with desire for alcohol I thank you for the freedom You have brought him Lord. I thank you so much that even in his distress that when he called to you, you set him free and I pray right now Lord for those of us that have loved ones that are bound by alcohol who are bound by substance abuse for those that are looking for that thing to numb the pain, Lord, I just pray that they will find freedom in you. I pray that Zach’s story will go out and bring hope to others. Can’t find the link to listen to this podcast in this post.